Here at Motorcars Collision, we work hard to ensure we provide our customers with exceptional service. We have the certifications to show for it. We are proud to offer collision repair and auto body paint services to drivers in the greater Cleveland Heights, Ohio area. Our body shop team will work diligently to return your damaged vehicle to pre-accident condition regardless of the make and model automobile you drive. Our collision center in Cleveland Heights, OH, knows that dealing with the aftermath of an accident can be a stressful time. This is why our dealership is always trying to improve itself and to make sure you are not alone in this process. Our experienced team is here to help you get back on the road behind the wheel of a repaired vehicle that's safe to drive. Use our secure website or see us in person to discuss the damage to your vehicle and receive an estimate. Our trained technicians will review your auto body repair needs with you directly and communicate with your insurance company. To help you get your vehicle repaired, we offer competitive prices and a menu of driver discounts. Motorcars Collision is proud to be recognized for offering Gold-Class Winning Collision Repair. As the cars we drive become increasingly advanced, with complicated systems, their repair needs become equally advanced. It takes a team of highly trained specialists to care for many of the makes and models enjoying our Cleveland roads. It is essential to maintain up-to-date training as technologies advance. The Gold-Class Award recognizes these exceptional facilities that curate a team of experts. No two vehicles follow the same repair plan. It takes a team of Estimators, Non-Structural Technicians, Steel Structural Technicians, and Refinish Technicians to ensure your vehicle is repaired correctly and safely. Since vehicle advancements never stop, the need for continuous training never stops either. 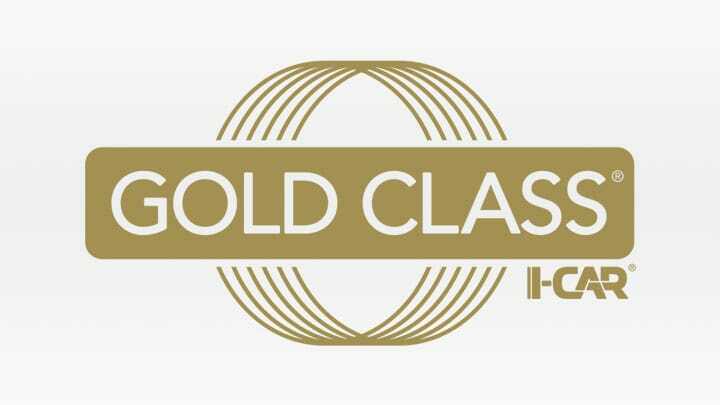 That's why you'll find the Gold Class logo mounted at our collision repair center. We ensure that our team and the skills, knowledge, and training to keep up with the automotive systems of today and tomorrow. 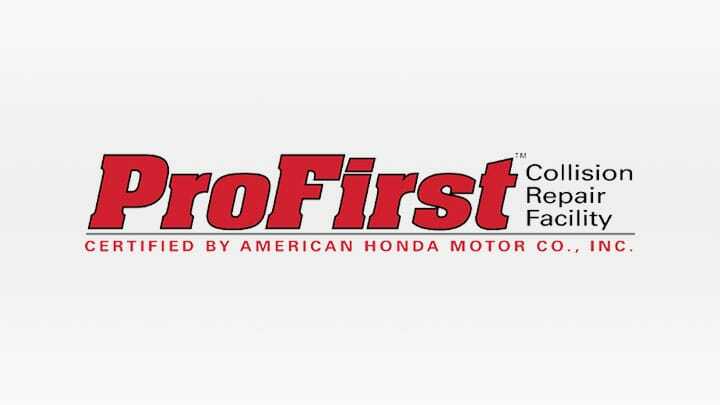 If your Honda needs collision repair, you'll be glad to know that our auto body repair shop is ProFirst Certified. If the structural integrity of your vehicle is compromised, it is essential that your car is repaired to factory standards to ensure performance and safety. Being ProFirst Certified means that we are committed to complete and accurate repair as well as driver safety. To keep up with decreasing CO2 emissions and increasing fuel efficiency demands, lighter cars and advanced technologies are needed. After a collision, it is essential that your Honda or Acura model is returned to this standard. Honda created the ProFirst Certification to let drivers know which collision centers meet their standard. When you visit Motorcars Collision, you'll see the ProFirst Certification proudly mounted on our wall.